Thomas and Robert Kersley came from the small Hampshire village of Mapledurwell located a little to the south of the town of Basingstoke and a handful of miles from Steventon, the birthplace of the celebrated English novelist Jane Austen (born there in 1775). Their father, William Kersley, was baptised at Mapledurwell on 12 May 1793. According to the local parish registers William was 'the base born son of Sarah [Kersley] by Robert Fewel' (or Fowel, the writing was difficult to decipher). Gaye Dunn believes that Sarah later married Robert. Another Kersley researcher, Nigel Gerdes, tells us that Robert's surname was Powel and that Sarah 'went on to marry 29 May 1794 at Herriard a widower Richard Wise and had four additional children'. Nigel adds that 'Richard Wise was born 4 Dec 1756 and baptised 11 Jan 1757 at Herriard. His first wife was Hannah Platt who he married 7 Jan 1779 at Upper Nately, Hants. They had six children and she died in 1793. Richard Wise died in 1824 and was buried 20 Jan 1824 at Herriard'. We think Sarah was the daughter of Joseph Kersley (1744-1814) and Mary Wigmore (buried in Mapledurwell in 1810). Joseph was probably the youngest son of Richard and Elizabeth Kersley (nee Staples). An extract from a book on Lasham and Herriard sent to me by Gaye Dunn indicates that Richard moved from Winslade in Hampshire to Herriard after he married Elizabeth Staples there in September 1731. Another of Richard's sons, George Kersley, was said to own Hale Farm which he inherited rather than bought. George married three times, first to Jane Rout, then Elizabeth Cooper and finally to Sarah Blunden (in 1787). By this time the farm, which had passed to George's first son (also George), had to be sold in order to pay off the family's creditors. 'From then on', the book continues, 'life became very different and it showed in the lifestyle of the children born to George and Sarah' who had to work as labourers and ploughmen. As we will see, this would also be so for the descendants of George's brother Joseph. Joseph Kersley married Mary Wigmore in Herriard in 1762 and moved to Mapledurwell some time later. Gaye Dunn has Joseph's children as: William (1764-1847), Mary (1767-), John (1770-), Sarah (1773-), George (1774-), Ann (1778-), Elizabeth (1781-), Charlotte (1785-1842) and James Kersley (1789-1824). The Mapledurwell parish registers confirm that Ann, Elizabeth and Charlotte Kersley were baptised there in 1778, 1781 and 1785 respectively. The other children were not mentioned and so may have been born at Herriard. The list of burials at Herriard obtained from GenWeb shows that although they lived at Mapledurwell, Joseph and Mary were buried at Herriard (on 5 June 1814 and 6 March 1810 respectively). The Phillamore listings for Hampshire and the Mapledurwell parish registers show that a number of Joseph and Mary's children were married at Mapledurwell: Mary Kersley married John Slater on 14 February 1788; William Kersley married Sarah Hall on 1 November 1790; Charlotte Kersley married Thomas Gidge on 24 April 1806; and Ann Kersley married Robert Gary on 17 November 1808. Their brother John Kersley married Hannah Wise at Herriard on 2 October 1800. According to Maureen Sharpe, the marriage allegations for Hampshire show that a further brother, George Kersley a 21 year-old yeoman from Mapledurwell, married Mary Bentham, also 21, of Upper Nately at Upper Nately in 1806. The various couples and their families are listed on my Kersley/Laurence family tree maintained on Rootsweb (an internet listing for the Wild, Batchelor and Hewlett families in Hampshire also provides details of Charlotte Kersley and Thomas Gidge's children who were all baptised at Old basing between 1806 and 1826). Thomas and Robert's mother was Letitia Prince (1784-1836), the daughter of Thomas (1748-1818) and Mary Prince (1752-1822) of Mapledurwell. Nigel Gerdes tells us that Mary's maiden name was Mears and that she and Thomas were married at Old Basing in Hampshire on 12 December 1772. The LDS IGI has Mary as Mary 'Moars'. It also shows that two Mary 'Mores' were baptised at Old Basing in the 1750s, one on 21 September 1755 (parents George and Elizabeth Mores) and one on 21 April 1756 (parents also George and Elizabeth Mores). We do know that Letitia had at least seven siblings all of whom were born (and most buried) at Mapledurwell: William (1777-1848), Mary (1782-86), George (1784-88), Robert (1786-), Jean (1789-), Thomas (1798-1875) and Ann Prince. The 1839 'Tithe Award for the Parish of Mapledurwell' shows Letitia's older brother, William Prince, as the occupier of an orchard over two rods in size. The orchard was owned by a Daniel May. The same document showed that William's son, John Prince, occupied a house and garden also owned by Daniel May. William's grandson and namesake married Jane Spencer from Sherborne St John in Hampshire in 1861. The couple had ten children, including twin boys Herbert Joseph and Francis William Prince (who, with his wife Louisa Morgan from Sandford in Berkshire, was running Prince's Farm at Mapledurwell in 1901). Another of Letitia's brothers, Robert Prince, married Mary Frewin at Mapledurwell in 1811. He and Mary lived at nearby Nately Scures after their marriage and had at least three children there: George, William and Jane Prince. Letitia Prince married William Kersley in around 1818 although we have yet to find out where the wedding took place. We do know that the couple lived at Mapledurwell after their marriage and had at least twelve children there: Mary Ann (baptised in 1819), George (1820), Emma (1822), Henry (1823), William (1824), Thomas (1826), Charles (1828), James (1830), John (1831), Louisa (1833), Robert (1834) and Joseph (1836). Over this time William was recorded in the baptism registers as working as a servant, labourer and shopkeeper. Letitia Kersley nee Prince died and was buried at Mapledurwell on 25 November 1836 possibly from complications arising from the birth the same year of their last child Joseph. The local parish registers show that three of her and William's children - Henry, James and Louisa Kersley - predeceased their mother and are also buried at Mapledurwell. The picture on the right was among the collection of photos held by our Thomas Kersley's descendants and may be of Thomas' father William Kersley although this has not been confirmed. Ancestry's immigration records show that five years after Letitia's death, William and eight of his children sailed from Liverpool to the United States on the ship ONTARIO. They arrived at New York on 22 June 1841 and were said to be bound for the County of Delaware. William Kearsley, as his name was spelt, was 48 years old and described as a labourer. He was accompanied by Mary Ann (aged 22), George (a 21 year-old wheelwright), Emma (20), William (17), Thomas (14), Charles (13), Robert (7) and Joseph 'Kearsley' (5). William's American adventure did not to last long however. In 1850 he and his daughter Emma were back in London attending the marriage of William's eldest daughter, Mary Anne Kersley, to William Bonney (see below). The census for the following year has William, then aged 57 and working as a baker, living with Mary Anne and William Bonney at their residence at Monk Sherborne in Hampshire. The LDS database shows that a William Kersley was buried at Monk Sherborne in Hampshire on 19 February 1859. Although no birthdate was given it seems reasonable to assume this was probably our William. William and Letitia's eldest daughter, Mary Anne Kersley married William Bonney, the son of William Bonney, a wheelwright, and Mary Follett, at the Parish of St George in London in 1850. As described above the wedding was witnessed by Mary Anne's father, William Kersley, and her younger sister Emma. After their marriage the couple lived at Monk Sherborne in Hampshire and had five children we know of there: William Bernard (1851-51), William Edgar (1854), Albert (1856), Mary Jane (1859) and Mary Anne Bonney (1862). The UK censuses show that William worked as a baker and grocer, running his own shop in the village of Monk Sherborne. The 1881 census also indicates that he and Mary Anne either owned or leased a 54-acre farm in Berkshire which employed three workers (we think that the running of the farm was eventually taken over by William's son Albert - see below). Mary Anne Bonney nee Kersley and her husband William lived the rest of their lives at Monk Sherborne. She died there there in 1905 and and he in 1914. The National Probate Calendar for England and Wales, 1816-1941 shows that probate from William's will was paid to his two daughters: Mary Jane Bonney, spinster, and Mary Ann White (wife of Edwin Gilbert White). What of William and Mary Anne's children? Their eldest daughter, Mary Jane Bonney, lived all her life at her parents' home in Monk Sherborne (the 1911 census has her as the housekeeper for her widowed father). Earlier censuses indicate she was also the village's post mistress. According to the UK National Probate Calendar she died a spinster at Clifton House in Monk Sherborne on 25 March 1943. Probate from her will went to her younger sister, Mary Ann White. 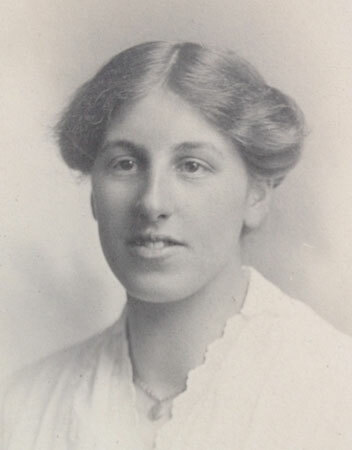 Mary Ann, who also lived much of her life with her parents, had married Edwin Gilbert White in the Kingston registration district of Middlesex in 1908. The 1911 census has her and Edwin, then a 44 year-old shop assistant for a gentleman's outfitter, living at 82 Park Road in the latter's birthplace of Wimbledon in Surrey. Edwin died at Esher in Surrey on 1 September 1917. We don't think that Mary Ann re-married, or that she and Edwin had any children. Ancestry's London Marriages database shows that the girls' older brother, William Edgar Bonney, married Mary Jane Plant at All Saints Church in Marylebone in London on 2 January 1878. Their wedding certificate shows that William, who was working as a grocer, and Mary Jane, the daughter of William Plant a deceased farmer, were then both living at the District Rectory of All Soul's in Langham Place in Marylebone. The wedding was witnessed by a Walter A. Plant and Sarah Jane Carter. We now believe that William and Mary Jane left England for the United States in around 1880 (see below). They were back in England for a brief period around the time of the 1911 census which shows William, then a 58 year-old married baker, boarding at Victoria House on Trafalgar Road in Basingstoke and Mary Jane, 63, married and born at Grazely in Berkshire, living at Monk Sherborne Post Office and bakery (their respective census returns indicate William and Mary Jane had been married 33 years and had two children, one of whom was no longer living). The LDS database tells us that a William Edgar Bonney (aged 57) sailed from Liverpool to New York on the LAURENTIC on 16 April 1911. He was then said to be living at Basingstoke in Hampshire. The 1930 US census shows a William E. Bonney, a 76 year-old widower who had been in England and emigrated to the US in 1880, was living at Tacoma, Piece County in Washington. The same database shows he died at Tacoma on 18 December 1932, his wife was Mary Jane Bonney and parents William Bonney and William Kersley. The same source indicates his wife Mary Jane died and was buried at Tacoma on 1 March 1912 and their son, Ernest William Bonney, born in around 1884, died there on 20 April 1940 (Ernest had been married to Rita S. Bonney). William and Mary Anne's youngest son, Albert Bonney (1856-1945), married Alice Mary Gibson (1868-1943) at Kensington in London in 1898. Alice had been born at Maidenhead in Berkshire, the daughter of James Gilroy and Harriet Boyce (both china and glass dealers). At the time of the 1901 census Albert and Alice and their two small children were on a farm at White Walton in Berkshire. The fact they had two servants suggests they were reasonably well off. The London births database indicates they had at least four children at White Walton: Albert Lancelot (baptised in 1898), Charles William (1899), Mary Irene (1901) and Dorothy Mary Bonney (1903). This is confirmed by the 1911 census which shows the family living at 'Ramsdell' in Basingstoke. According to the UK National Probate Calendar Albert Bonney of 'Fir Tree Farm Charter Ley' in Monk Sherborne died on 11 April 1945. Probate from his will was paid to his sons Albert Lancelot, farmer, and Charles William Bonney, grocer. Although still to be confirmed, we think that Albert's wife, Alice, pre-deceased him by two years. And their children? Albert Lancelot Bonney (1898-1963) married Hilda Cane (1897-1990), the daughter of Arther James Marshall Cane and Alice Emma Ayliffe, in the Basingstoke RD of Hampshire in 1925 and had at least two children both of whom were born in the Kingsclere RD of Hampshire: Joan (1926-1993) and Robert L. Bonney (1929-2015) neither of whom married. From the 'Cane Family Tree' on Ancestry, these photos are of (from L/R): Hilda Cane, her husband Albert Lancelot Bonney and their daughter Joan Bonney. Charles William Bonney (1899-1961) married Olivia May Wright (1903-88) in the Hartley Wintney RD of Hampshire in 1927 (2c, 517). In her 'Sayer family Tree' on Ancestry, one of their descendants, Helen Doel, tells us that Olivia was born at Langrish in Hampshire, the daughter of William James Wright and Kate Yeomans, and died at Bournemouth in Hampshire. It adds Charles and Olivia had a daughter, Mary Olivia Bonney (1928-99), who was born at Basingstoke and married John Michael Sayer (1927-98) at Aldershot in 1952. She and John had one son, Victor William Sayer who was born at Wokingham in Berkshire on 20 December 1954 and married Denise Sandra Smith. Mary Irene Bonney (1901-86) married Frederick Thomas Stanley (1894-1959) in the Kingsclere and Whitchurch Rd of Hampshire in 1928 and had two daughters we are aware of: Ruth (born in 1928) and Grace Stanley (1931). According to the 'Sims/Snook Family Tree' on Ancestry, Mary re-married in 1963, to Walter Dunning, and died at Shaftesury in Dorset in 1986. It adds that Ruth Stanley married David Guy Elliott at Pamber in Hampshire on 23 October 1948. We think that Albert and Alice's youngest daughter married William Osborne in 1925 although that has still to be confirmed. As we have seen, Mary Anne's sister, Emma Kersley was at her sister's wedding in London in 1950. 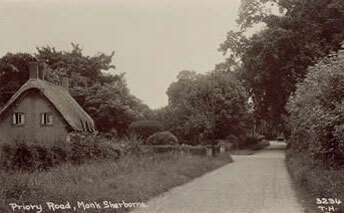 At the time of the 1851 census she was still single and living with Mary Anne at Monk Sherborne in Hampshire. 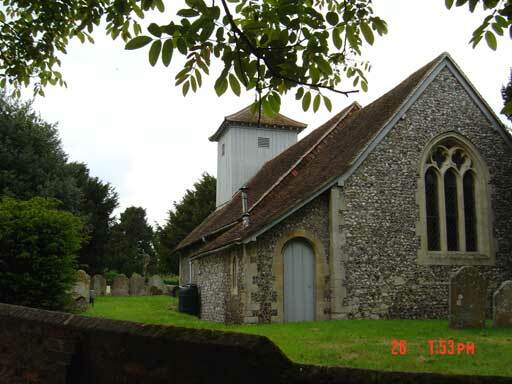 Two years later, according to information sent to us by Nigel Gerdes, she married James Hussey at the All Saints Parish Church in the County of Southampton. Their wedding certificate indicates that James was a widower, the son of John Hussey, a labourer. He and Emma, said to be the daughter of the baker William 'Kearsley', were both living at 'Back of the Wall' in Southampton at the time of the wedding. They were married after banns by a W. A. Crawford, and along with their witnesses, James Hunt and Jane Watts, signed the marriage certificate. Nigel continues that James' parents were John Hussey and Elizabeth Wood who were married at Monk Sherborne in 1810. His siblings were Elizabeth (1812), William (1814), John (1818), Mary (1820), Henry (1823) and Priscilla Hussey (1832). James had been previously married to Mary Ann Spencer and had at least six children with her. After their marriage James and Emma moved to Kingsclere in Hampshire where they established a bakery. The UK censuses indicate they lived the remainder of their lives at Kingsclere and had three children of their own there: Albert, Henry Thomas and Emma Letitia Hussey. James died at Kingsclere in 1879. The 1881 census shows the widowed Emma living at Woodlands in Kingsclere with her two sons, Albert and Henry Thomas, and working as a baker and grocer. At the time of the 1891 and 1901 censuses she was at Fair Oak in Kingsclere and working as an assistant grocer. The Catherine House index indicates she died at Kingsclere in 1908 when she was 86 years old. 1. Albert Hussey. Born at Kingsclere in 1857, Albert was working as a grocer's assistant at his mother's shop at Kingsclere in 1881. The 1891 census shows him working as a baker at the Broadmoor Asylum at Sandhurst in Berkshire. The following year he married Ann Asenath Wort (1860-1939), the daughter of George Wort and Jane Moody. Ann had been born at Coombe Bissett in Wiltshire. Her father and mother were born respectively at Redynch and Heale. The 1901 census has Albert (then a 43 year-old baker) and Asenath living on Cambridge Road in Crowthorne in Berkshire with their eight year-old son George James Hussey who had been born at Crowthorne. They were still there in 1911 and George had begun working as a carpenter's apprentice. 2. Henry Thomas Hussey. Born at Kingsclere in 1860, Henry was also working at his mother's bakery in 1881. He married Bessie Smith, the daughter of John Smith of Tan House Farm near Kingsclere, at Kingsclere in 1886. After their marriage Henry and Bessie lived at Fair Oak in Kingsclere and had eleven children there: Henry James (1887), Nora Janet (1888-1970), Mabel (1890), Thomas (1891-1915), Bessie (1894), Stella Sabina (1895), William Reginald (1897), Lorrie Emily (1899), May Pretoria (1900), Albert Edward (1901) and Stanley Victor (1902). The 1911 census has their address as Fair Oak Etchford Hill in Newbury in Hampshire. The Catherine House records show that Nora Janet Hussey married Thomas Stewart Pizzey in the Kingsclere registration district of Hampshire in 1912. Ancestry's listing of 'UK Soldiers who died in the Great War', shows that Thomas died in Flanders on 27 January 1918 while serving as a private soldier in 9th (Service) Battalion of the Devonshire Regiment. The Commonwealth War Graves Commission entry for Thomas indicates that he was then 36 years old, the 'son of Thomas and Clara Pizzey, of Kingsclere, Hants; husband of Norah Janet Hill (formerly Pizzey), of 118, Hamilton Rd., Reading', and is buried at the Liege (Robermont) Cemetery in Belgium. It continues that 'Liege remained in German hands until the end of the war. The city cemetery at Robermont was used for the burial of Allied prisoners of war and now contains French, Belgian, Italian, Russian and Commonwealth war graves plots. The Commonwealth plot contains 48 burials of the First World War, and one from the Second World War'. Nigel Gerdes tells us that after the war Nora married again, to Leonard Ebenezer Hill in the Newbury district of Berkshire in 1919. She died in the Easthampstead district of Berkshire in 1970. Ancestry's database on 'UK Soldiers killed in the Great War, 1914-19' also shows that Thomas Hussey, born at Kingsclere and living at Newbury in Hampshire, was killed in action at Gallipoli on 29 April 1915 while serving as a private soldier in the 2nd Battalion of the Hampshire Regiment. The Catherine House records show that Nora and Thomas' younger sisters, Stella Sabina and Lorrie Emily Hussey married Walter Clift and Bernard Clift in 1921 and 1925 respectively. Their brothers William Reginald and Stanley Victor Hussey married Muriel West and Annabella McGowan in 1934 and 1939. 3. Emma Letitia Hussey. According to information provided to us by Nigel Gerdes, Emma married Charles Davies at Woodlands on 31 August 1892. Charles, who worked as a butcher, was born at Kington in Hertfordshire in around 1868, the son of William and Jane Davies. Their wedding was witnessed by Emma's brother, Henry Thomas Hussey, and Mary Jane Cooper. The 1901 census shows Charles (32) and Emma (38) living at 2 Magnolia Terrace in Abergavenny in Monouthshire. With them were their two daughters Lily Letitia (7 and born at Kington) and Stella Louisa Davies (2, Old Radnor Walton). They were living on Ladysmith Street in Blackwood in Monmouthshire in 1911 together with their two children: Lily Letitia (17) and Reginald (8, Abergavenny). The census indicates their second daughter, Stella, had died before 1911. The Catherine House records show that an Emma L. Davies, aged 78, died in the Abergavenny registration district of Monmouthshire in 1941. 1) William Charles Kersley (1854-1929) who was born at Dorney in Buckinghamshire and married Sarah Oxlade (1856-1913) at Hillingdon in Uxbridge in London in 1882. 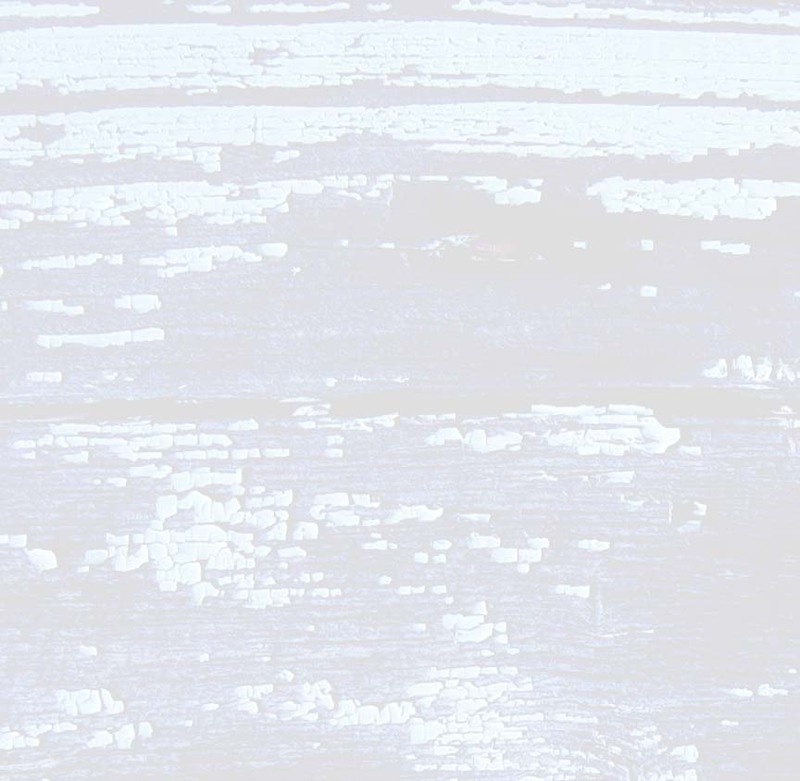 Their wedding certificate shows that William was then working as a carpenter and the wedding was witnessed by George Skidman and Fanny Oxlade. According to the 'Oxlade One Name Study' family tree on Ancestry Sarah was born at Hambleden in Buckinghamshire. 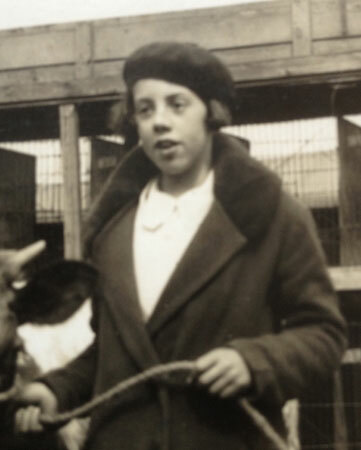 Her parents were Jonathon Oxlade, a game-keeper, and Ann Moore. William and Sarah had two daughters we are aware of: Eva and Ethel Mary Kersley (born at Southall in Middlesex in 1883 and 1887 respectively). At the time of the 1891 census the family, together with William Charles' parents, were living at 2 Featherstone Road in Southall (later Norwood). By the time of the 1911 census William Charles and Sarah had moved to 55 Featherstone Road and their two girls were working as lady's maids in Folkestone and Swaffham in Norfolk. We think Sarah and William both died at Southall, she in 1913 and he in 1929. William and Sarah's eldest daughter, Eva Kersley, married Harry Ashby, at Southall in London in 1913. Their wedding certificate, obtained from the Ancestry's London parishes database, shows that Harry, aged 32, was a member of the Royal Navy and son of George Ashby (deceased), a gardener and florist. He and Eva were both living at 55 Featherstone Road at the time of the wedding which was witnessed by Eva's father, William Charles Kersley, and Fred Ashby. The UK Naval Medal and Awards Rolls on Ancestry show that 192082 Petty Officer Harry Ashby served during WWI and was awarded the Victory Medal and British War Medal. We think that their younger daughter, Ethel Mary Kersley, married Frederick Powell in the South Stoneham registration district of Hampshire in 1915 although that has still to be confirmed. 2) Charlotte Kersley who was born at Dorney in Buckinghamshire in around 1856. The 1871 census shows her living at Chilton Candover in Hampshire with her widowed grandmother Charlotte Blunden (67, North Waltham) and aunt Ann Blunden (35, Chilton Candover). She was still living at Chilton Candover in 1891 this time with her 72 year-old uncle and retired game-keeper, William Hall. By the time of the 1901 census Charlotte was living on her own means at West Hillingdon in Uxbridge (living with her at the time was her mother, Jane Kersley, who seems to have separated from George). Although still to be confirmed, we think Charlotte married Henry Oliver (born at Chilton Candover in around 1856) in the Alresford RD of Hampshire in 1909. The 1911 census shows her and Henry living at 'The Cottage Empshott Green in Hampshire'. The census return indicated they had been married in around 1909 and had no children. William Kersley jnr seems to have married twice. His first wife was the widow Mary Scutt nee Hornsley who, according to Ancestry's London parish database, William married at Bethnal Green in London on 25 December 1846. Their wedding certificate shows that Mary was the daughter of Richard Hornsley a labourer and was then living at 8 Harold Street in Bethnal Green. The 1851 census shows William, a 25 year-old dock worker, and Mary (45 and born at Ditchland in Sussex) living at 4 Princes St in the Tower Hamlets district of London. Mary died sometime between then and 16 February 1853 when William, described on the wedding certificate as a 29 year-old gentleman and widower, married his second wife, Deborah Bailey, a 30 year-old widow and daughter of a French clog maker James Bradfield, at the St Dunstan and All Saints Parish Church at Stepney in London. The 1861 census shows William, a 37 year-old 'dock labourer' who was born at Basingstoke in Hampshire and Deborah (39, Norwich, Norfolk) living in Stepney with their son George (7) and daughter Emma Kersley (5) both of whom were born at Ratcliffe in Middlesex. Also present were two of Deborah's sons from her first marriage: James (19 year-old journeyman baker) and William Bailey (11) both of whom were born at St George in Middlesex. William and Deborah were still there at the time of the 1871 census and at Ratcliffe in 1881. We think that William died at St Pancras in London in 1888 and his wife Deborah had pre-deceased him by four years. We don't think William and his first wife, Mary, had any children. The 1861 census and Ancestry's listing of London births indicate he and Deborah had at least two daughters and one son, all born at Stepney (sometimes described as Ratcliff): George (1853), Emma (1856) and Mary Ann Kersley (1857). We think their youngest daughter, Mary Ann Kersley, died sometime before the 1861 census although this has not been confirmed. 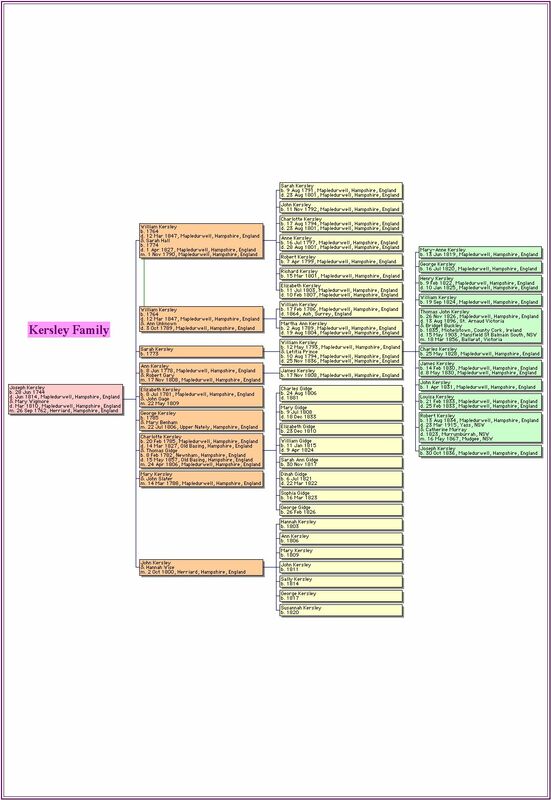 Ancestry's London marriages datatbase shows an 18 year-old Emma Kersley, daughter of William Kersley, a 'fireman in the docks', married Henry Ince, the 25 year-old son of the tailor William Ince, at Stepney on 4 August 1872. The wedding was witnessed by William Kersley and Marion Skinner. Emma and Henry were both living at 120 White Horse Street in Stepney at the time of their marriage. I haven't been able to find them in the 1881 or subsequent censuses, suggesting they may have emigrated. 1. 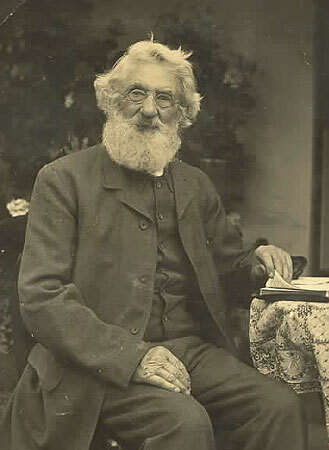 George William Kersley (1874-1943) married Susannah Boone (1874-1912) in Stepney in 1899. Their wedding certificate shows that George, a 24 year-old varnish maker, was the son of George Kersley (deceased). Susannah, also 24, was the daughter of local carman Sherbourne Samuel Boone. The wedding was witnessed by John Kersley and Margaret Dunn. The censuses show that George and Susannah continued living in Stepney after their marriage and had one child who died before 1911. Susannah died in 1912. George re-married in 1922, to Alice Gertrude Ashdown, and died in the East Ham registration district of Essex in 1943. He and Alice may have had a daughter, Joan M. Kersley, in 1923 although that has still to be confirmed. 2. John Thomas Kersley. Born at Stepney in 1878, we think John may have married Rose Ellen French in the West Ham RD of Essex in 1908 although this has not been confirmed. The 1911 census has a John Thomas Kersley, 32 year-old library clerk who was born at Stepney, living at 3 Colville Road in Leytonstone in Essex with his wife Rose Ellen (29, Marylebone) and their two sons: John Emilis (1) and Eugene William Kersley (1m) both of whom were born in Leytonstone. 3. Arthur Kersley. The 1891 census shows a 10 year-old Arthur Kersley (born at Limehouse in London) in the South Metropolitan District (Workhouse) School for boys and girls at Sutton in Surrey. The school was established in 1851 for the maintenance, education and industrial training of pauper children. The UK National Archives has a file for a 340183 Arthur Kersley, who was born in Stepney on 14 February 1880 and joined the RAN in 1894. The 1901 census shows Arthur, 20 years old and single, as a bandsman on board HM's ship Terrible, an armoured cruiser, which was captained by Captain Percy Moreton Scott. The UK Naval Medal and Award Rolls, 1793-1972 shows that an A. Kersley served on the Terrible in China in 1900 where he was awarded the China Medal and off South Africa during the Boer War and was awarded both the Queen's South Africa Medal and the King's South Africa Medal. An Arthur Kersley was also awarded the Star, Victory Medal and British War Medal for service during World War 1. 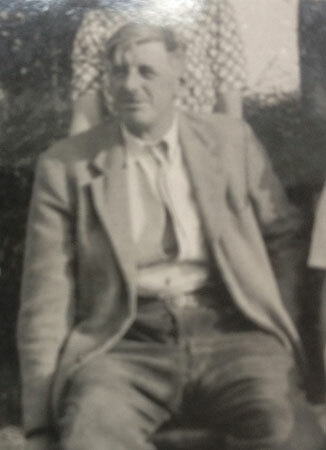 The Parkinson Family Tree on Ancestry.com has Arthur as Arthur Crombie Kersley, born at Stepney in 1880 and died at West Ham on 18 November 1920. He was said to have married Emily French (1889-1956) and had one child, Olive Mary Kersley who was born at Plaistow in West Ham on 1 August 1920 and died at Hemel Hempstead on 24 February 1971. Olive married Alfred Henry Hill (1913-93) and had one child still living.